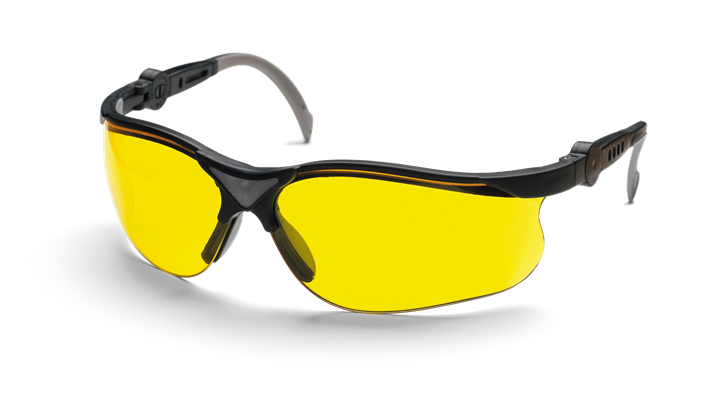 Protective glasses with non-scratch, yellow tinted lenses for better vision in dark conditions. With frames that can be extended and lenses that can be angled. Meets requirements of EN 166, ANSI Z87+.